I am a dedicated real estate professional committed to providing you a successful real estate experience. Whether you are buying or selling, a long time native of the area or new to NE Indiana, my service and commitment to clients goes beyond the sale and will earn your recommendation as a satisfied customer. I am a native of NE Indiana with over 20 years of business experience. Prior to joining Mike Thomas Associates I was a lead Product Manager for POOL Corp., the largest swimming pool distribution company in the United States. My responsibilities included supplier negotiations and price strategy, strategic market analysis, brand development and marketing, sales training and support. 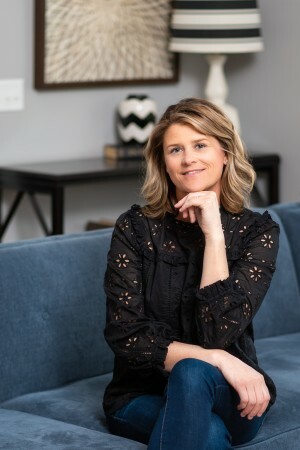 In addition to my business background, I’m also an independent design consultant who can help you optimize your homes selling potential or see the possibilities in a new home. I am proud to be a partner with Mike Thomas Associates, the number one real estate company in NE Indiana. I will continue to bring the same level of detail, organization and professional excellence to my position as a Realtor and Associate Broker.